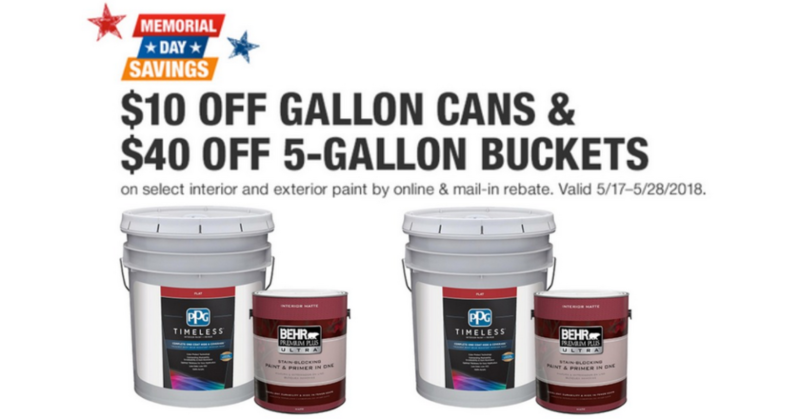 Head to Home Depot where they are offering up a mail in rebate valid on select interior and exterior paints. There is no limit as to how many times you can submit for the following rebates. Buy a valid paint purchase and print and complete the rebate form or submit online. Offer valid through 5/28. Rebates must be postmarked no later than 6/28.